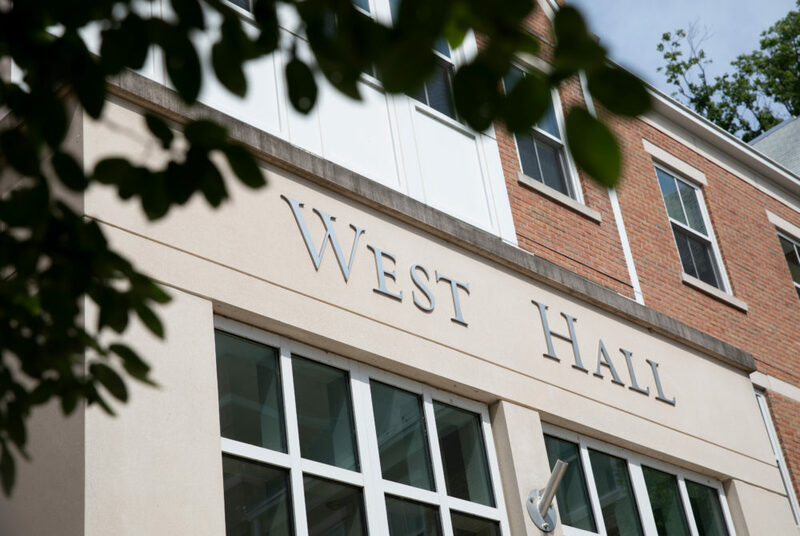 Incoming freshmen housed on the Mount Vernon Campus could live in one of six residence halls, including West Hall. Here’s what to expect when you move into your new room this fall. Out of the 126 residents living in the building, only 3 percent are freshmen. The spaces are standard rooms with two-person rooms and suites. Though the population is small, residents get the benefits of a location right next to The Shops at 2000 Penn so restaurants like Chipotle, Captain Cookie and Au Bon Pain are just a few steps away. While you may need to branch out to make more friends on campus, you can always bribe them to meet at your place with a burrito and an ice cream sandwich. You and your roommates can get a good night’s sleep with little noise. Madison is centrally located at the corner of H and 22nd streets, so class commutes are mostly short and easy. This residence hall sets you a bit further from other freshmen, but you can always take 4Ride, a late night campus transportation service, home from a party in Thurston Hall if the distance is too much. If you live on one of the top floors of the eight-story building, watch out for the elevator: It gets stuck pretty regularly. You probably value privacy. Communal bathrooms are a small price to pay for a bedroom all to yourself. Though the building is located on the edge of the Foggy Bottom campus, Mitchell residents can befriend the 7/11 cashiers during convenient late night snack runs and will be close to classes at the Elliott School of International Affairs. Without a roommate, you can enjoy peace and quiet to study, but you may have trouble convincing friends to come over leaving you to travel around the corner to Thurston Hall. You’ll have an upscale freshman experience. Potomac facilities have some major advantages. There are multiple fast elevators, the bathrooms are spacious and you’ll only have to share a room with one roommate. The location is also ideal because you’re near other freshman residence halls and you can grab a meal or two at Carvings next door. Get ready for snickers and stories when you tell a former Thurston resident where you live. You’ll learn in your first weekend that the Thurston lobby is a madhouse every Friday night with overwhelmed security from hordes of students running in and out. Your floor will be a mix of freshmen who wanted the “real college experience” and those who already partied hard in high school. The rooms can house two to six students, so you could be stuck in a bunk bed. You either love it or hate it. You’ll live in one of the six residence halls: Clark, Cole, Hensley, Merriweather, Somers or West. If you moved to D.C. from a small town, chances are that the Mount Vernon Campus is a more comfortable transition to the big city than immediately moving to Foggy Bottom. But if you chose the Vern as your last choice, you’ll probably hound housing for a room change a week into the semester. Buckle up and download plenty of podcasts for bumpy rides on the Vern Express because you’ll need to travel to Foggy Bottom for most classes, student organization meetings and to hang out with friends.